The Upper Grand District School Board is conducting a survey to confirm interest in and the feasibility of establishing an International Baccalaureate Diploma Programme in Orangeville/Dufferin or Erin. The 2019 Long Term Accommodation Plan (LTAP) Annual Review Report was presented at the Business Operations Committee meeting on March 19, 2019. Full instructions are described in the attachment. Please read the following link if your child has a life threatening medical condition. The Long Term Accommodation Plan (LTAP) Final Report (Draft) will be presented at the Business Operations Committee meeting on June 12, 2018. The meeting starts at 7 pm in the boardroom at the Guelph Board Office, 500 Victoria Road N, Guelph. The Long Term Accommodation Plan (LTAP) Final Report (Draft) is going to be presented at 5 regional public meetings throughout the month of May. 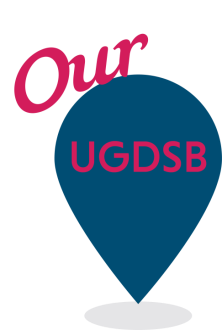 The first phase of public engagement for the UGDSB Long Term Accommodation Plan (LTAP) is complete. Thank you to all who attended a workshop or provided input online. Your feedback will be shared in a report to trustees on March 20, 2018. Exciting News! The Upper Grand District School Board has now launched an APP for parents to receive school information through an APP. Please see the links below for instructions on how to download this amazing APP on your Iphone or android phone!